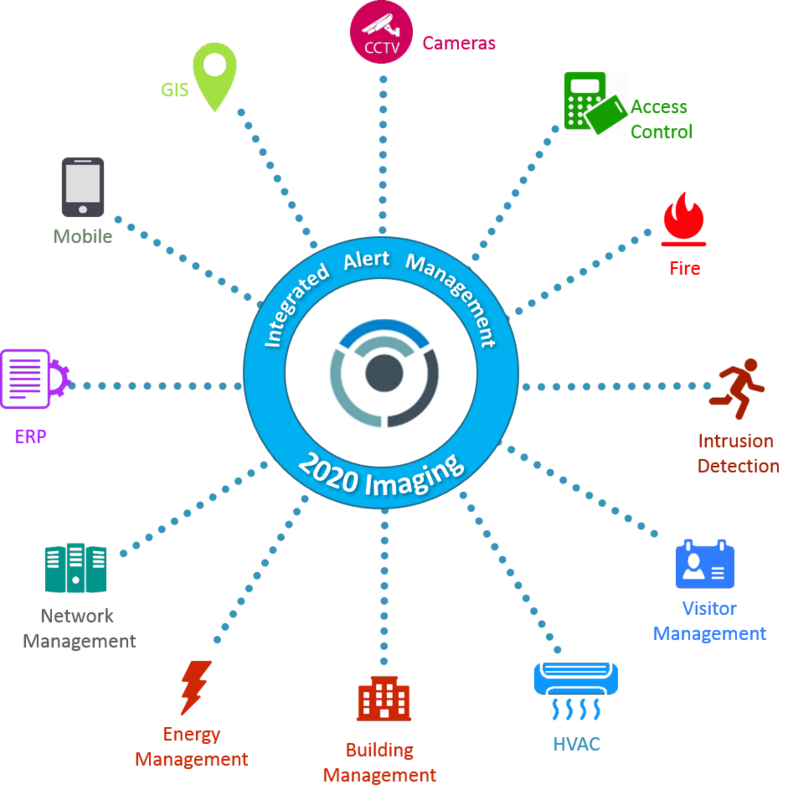 2020 Imaging gives you the ability to manage your Internet of Things over a single platform. From a simple surveillance software solution to an integrated facility solution, 2020 gives you common alert management of your facility operations. You can use our powerful platform as a VMS for your CCTV system, but because of its inherent ability to aggregate and manage alerts from different sources, you will no longer have a simple VMS, but a VMS+, VMS plus integration, VMS plus alert handling, VMS plus incident management, VMS plus video analytics, VMS plus collaboration, VMS plus communication, the list goes on. This is why, we are not just a VMS, but a video-enabled data visualization and alert management software for situational awareness.